0964-001 AXIS Q1659 50MM F/1.4 Professional photography meets video surveillance. 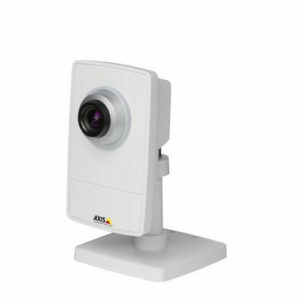 AXIS Q1659 Network Camera offers ultra-high image resolution for surveillance in superb detail at 8 frames per second, achieving unprecedented levels of detail for observing open spaces and across long distances. It features digital single-lens reflex (DSLR) imaging technology and offers a choice of Canon EF/EF-S lenses, depending on individual user needs. Equipped with an EF lens mount, the camera enables easy lens changes.